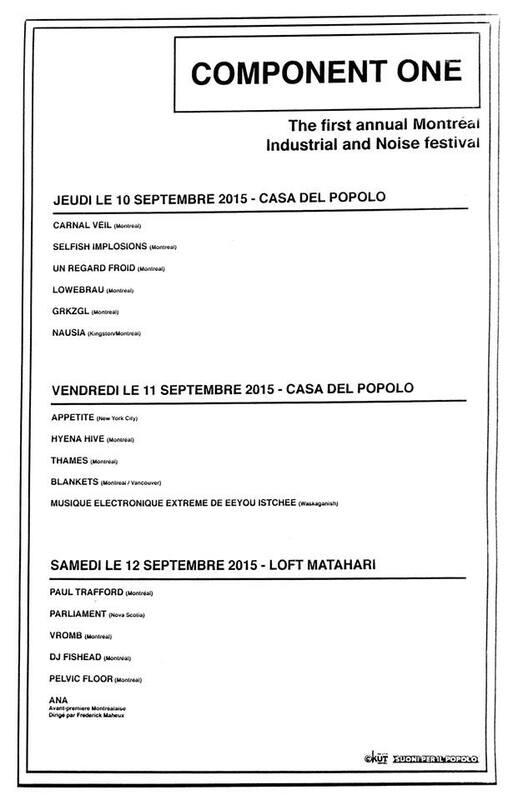 Every dimensions of Lamashtu will be part of Component One: Montreal Industrial/Noise Festival. Collages exhibition, avant-premiere of ANA and a live performance from my power electronics entity Un regard froid. Featuring music by Pierre-Marc Tremblay, Frederic Arbour and Riccardo Lucchesi.